downriver to his new home. made them susceptible to fire. in personal possessions or in inventory to sale. machine, was not popular until the 1880s. the driver sat behind the cab. which the person drove himself. Century, hauling goods to market. were "driven" by a rider. Around the collar are metal or wooden hames. hames to the vehicle, are attached to the hames. girth underneath called the bellyband. 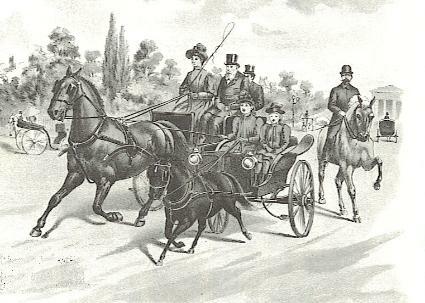 cart from bumping the horse in the rump. the upper part of the horse's tail. This horse had a curb-type bit (g) in its mouth. back to the driver's hands. the bit to a hook on the saddle. all, but it is required in some shows. 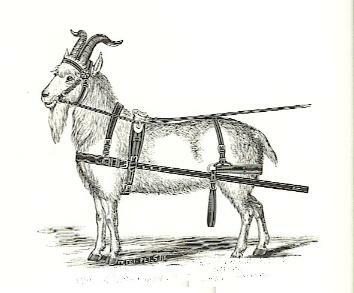 This goat is wearing a breast-collar harness. the chest of the animal. century there were other types of saddles as well. You sit on the seat. 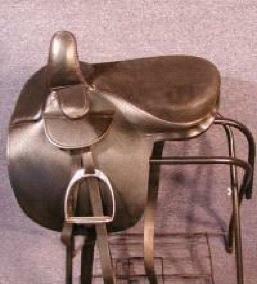 For more about saddles, click here. 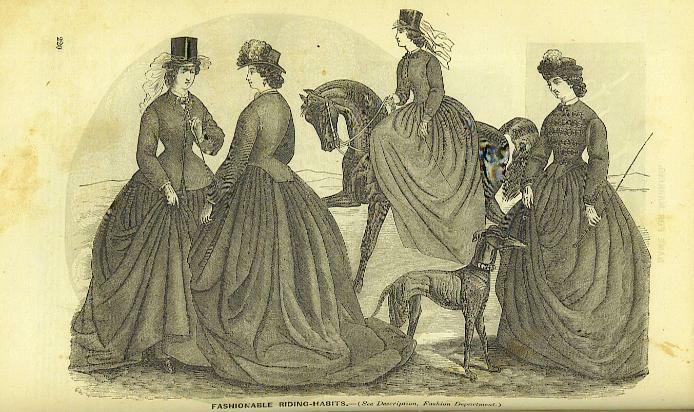 Riding Habits Godey's Feb. 1865.
to be caught on the saddle-horns.